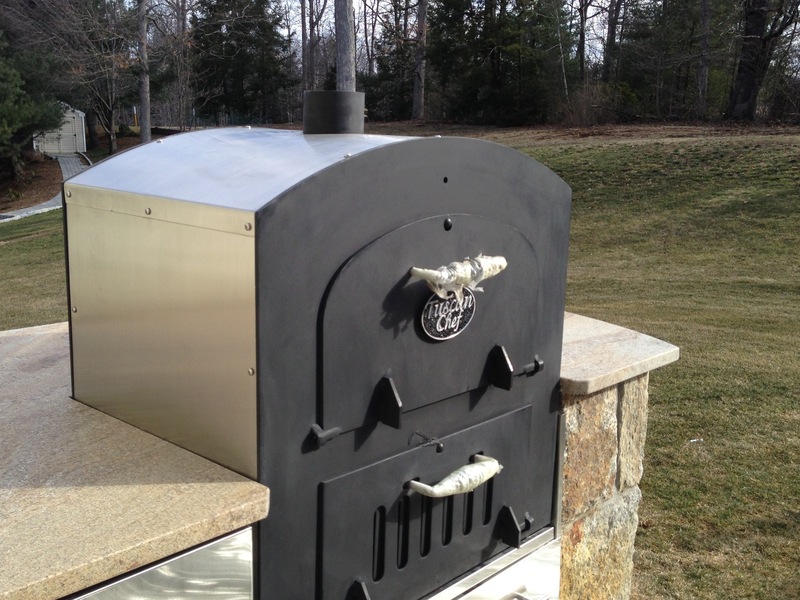 Living beyond the walls of your home fabulously begins with a fabulous design. 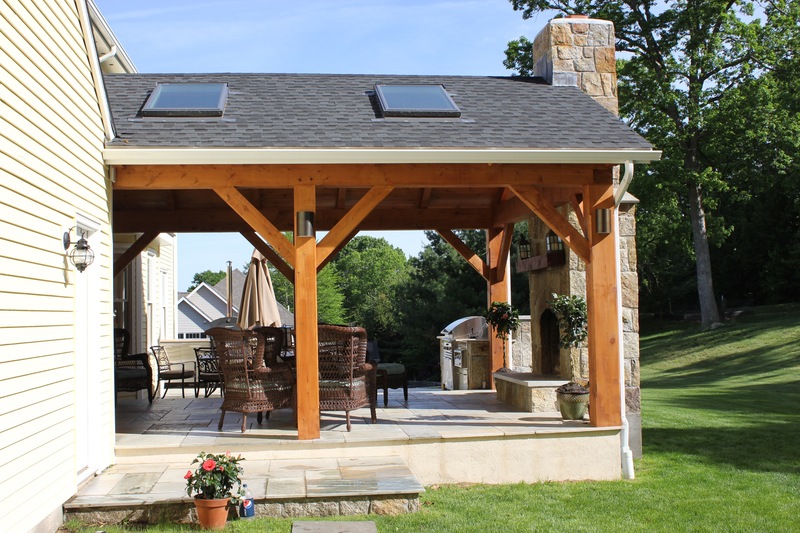 An outdoor setting full of amenities for the entire family and friends to spend more time outdoors doing the things they are used to doing indoors at best. 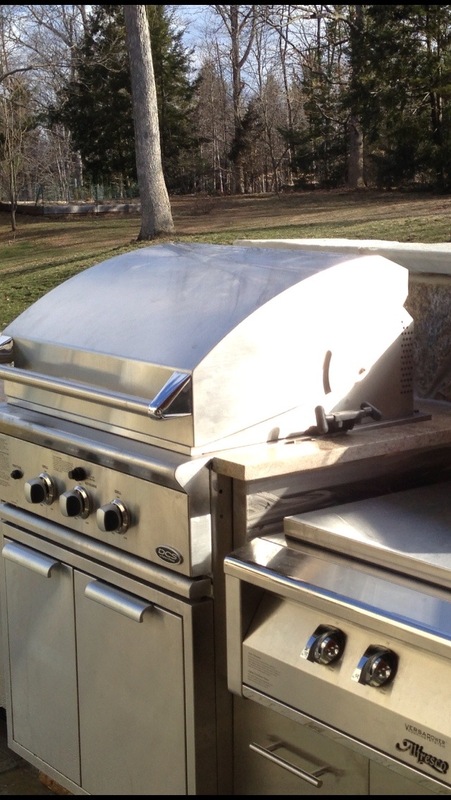 This is the allure to attracting more people outdoors spending quality time. 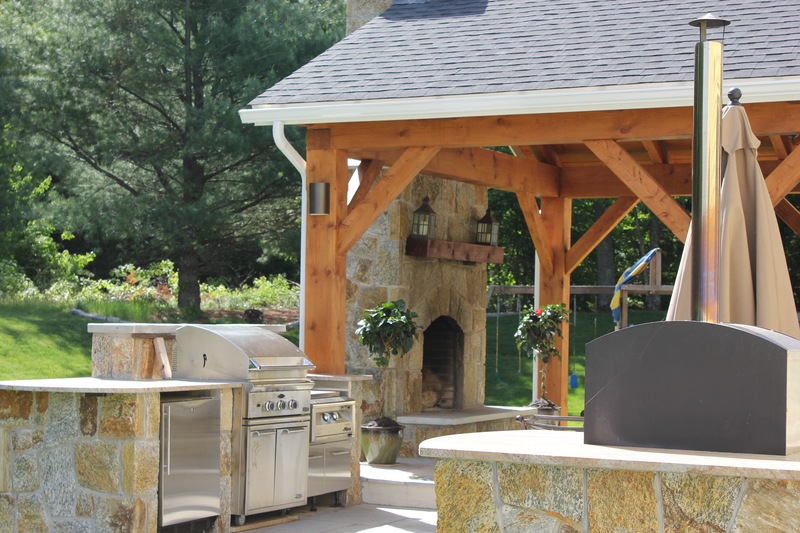 Outdoor living is the hottest trend going in home improvements as more and more people are looking to relax, entertain and cook in resort style outdoor settings of their own. Living fabulously beyond the walls a preferred lifestyle has become the challenge in upscale luxury living. 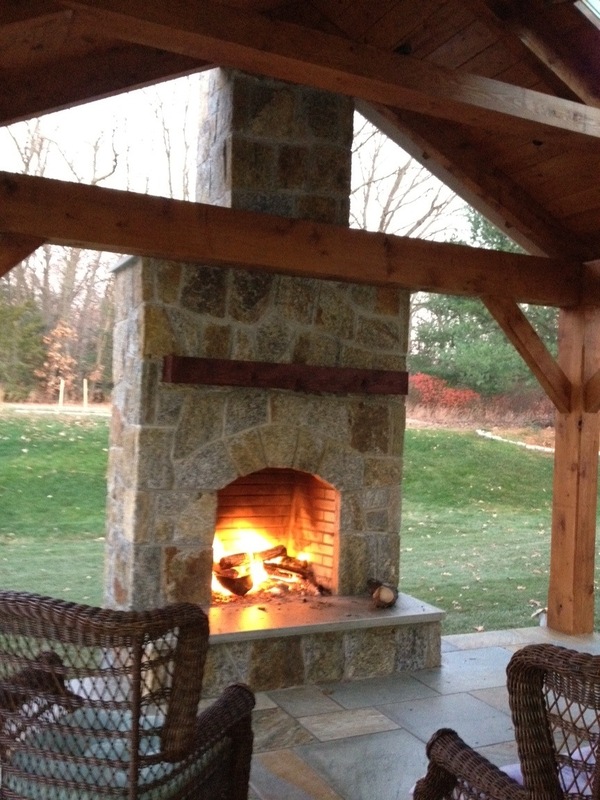 Outdoor fireplaces such as this one featured here by outdoor living designer Michael Gotowala of Preferred Properties Lsc & Masonry has already capitivated family and friends with endless hours of warmth, light, ambience, mesmerizing snap crackle and dancing flames. 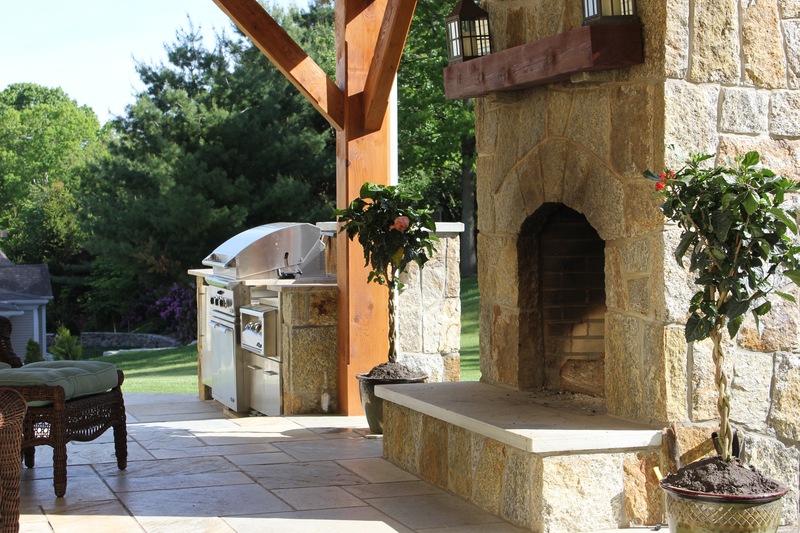 This post n beam outdoor living featured addition honoring a towering outdoor stone fireplace allows everyone to enjoy open air living all year round. 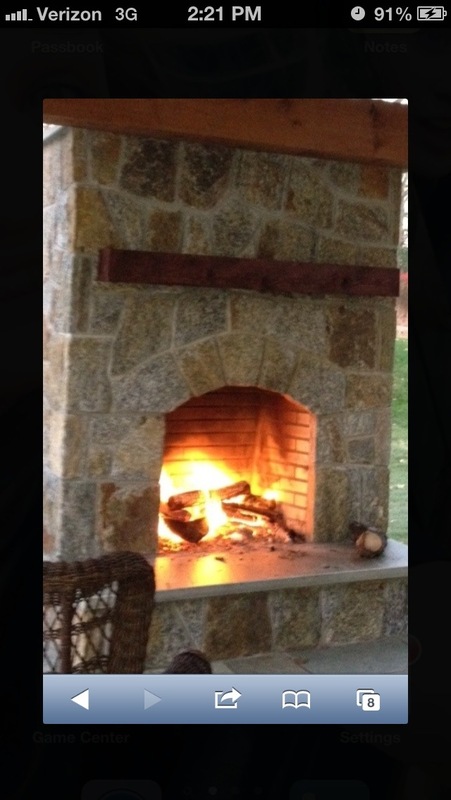 Outdoor design strategies to raise the hearth and fire viewing box enabling a glimpse from indoors now eager to step outdoors for a closer look. One more way outdoor designer Gotowala enhances living beyond the walls of your home seamlessly. 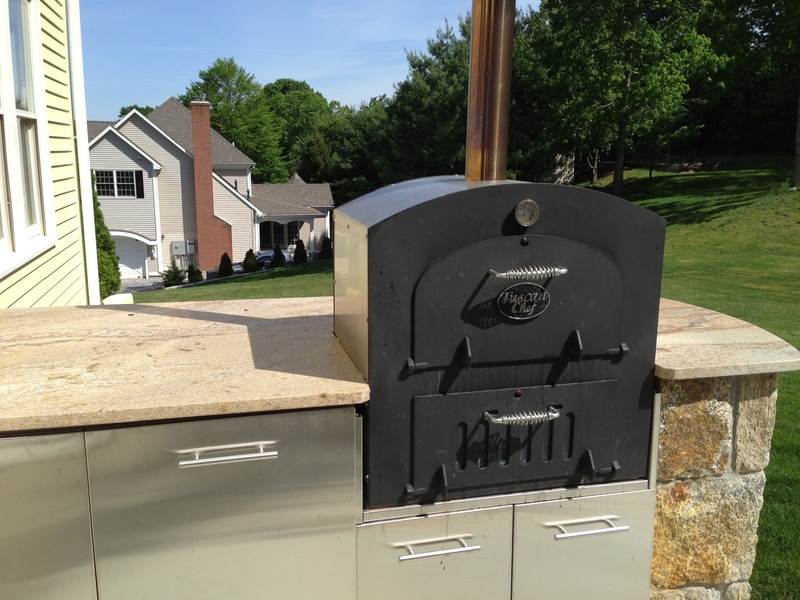 Renown outdoor kitchen designer Michael Gotowala has 10 or so outdoor kitchens featured nationally in Publications such as Signature’s Kitchen and Baths Best Outdoor Kitchens. 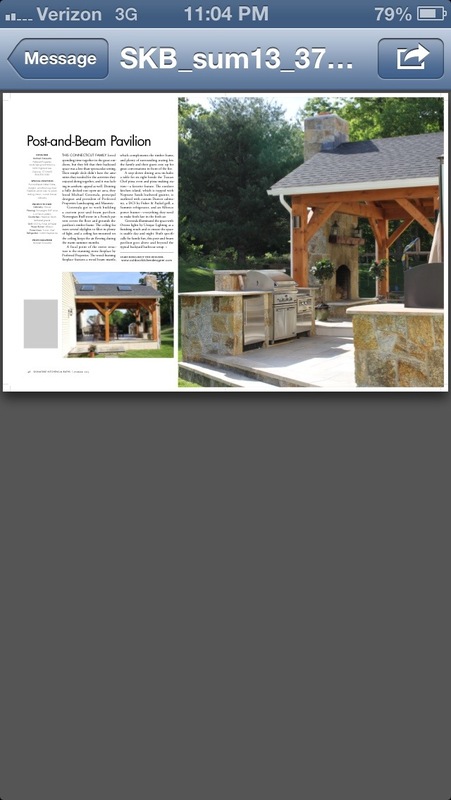 Gotowala’s upscale outdoor kitchens have been noted in Home and Hearth Magazine. Appealing to the desires and senses of all family members to have fun with one another and kinda allow time to elapse into living life is a concept Gotowala adheres to. 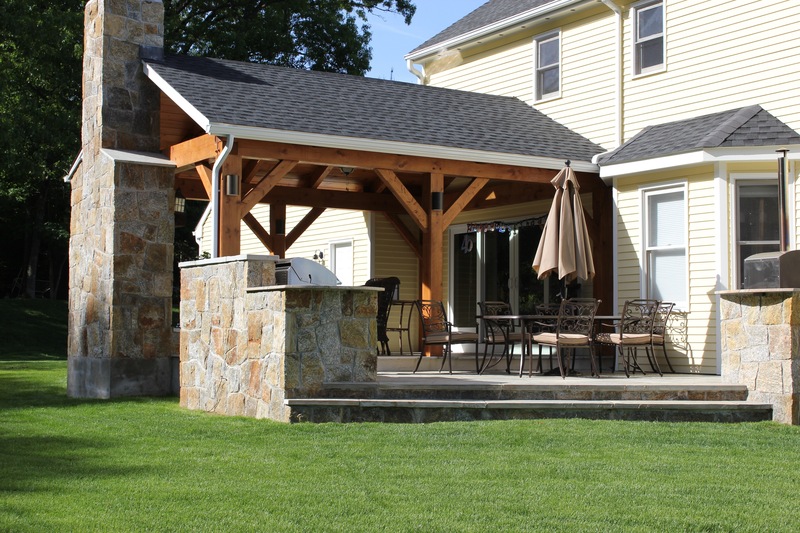 Outdoor design ideas encapsulate all the want haves, must haves and wished for amentities of all family members and blended into an outdoor living design superseding his clients expectations. 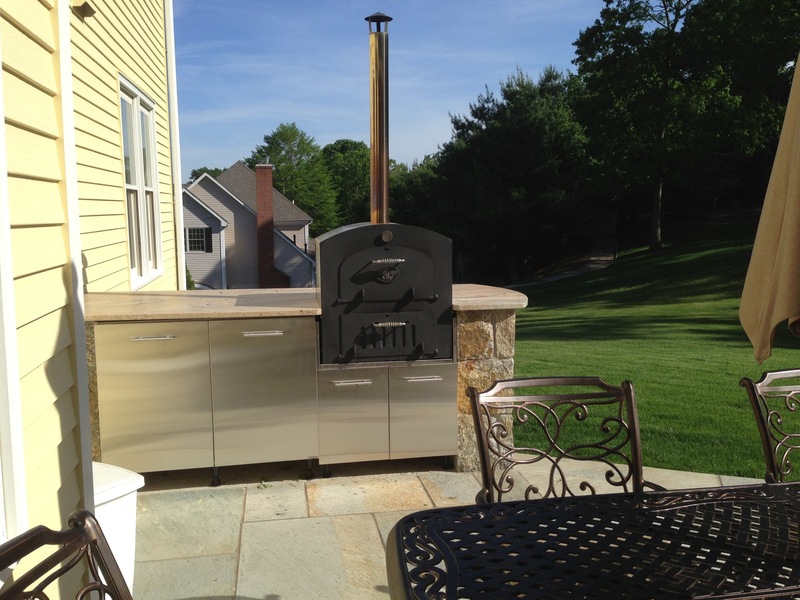 Flanking on the opposite end of this diagonal step down limestone patio is an outdoor pizza making station complete with a Tuscany outdoor pizza making appliance, Danver trash pull, storage cabinet and Summit refrigerator all topped off with granite countertop for pizza preparation space. 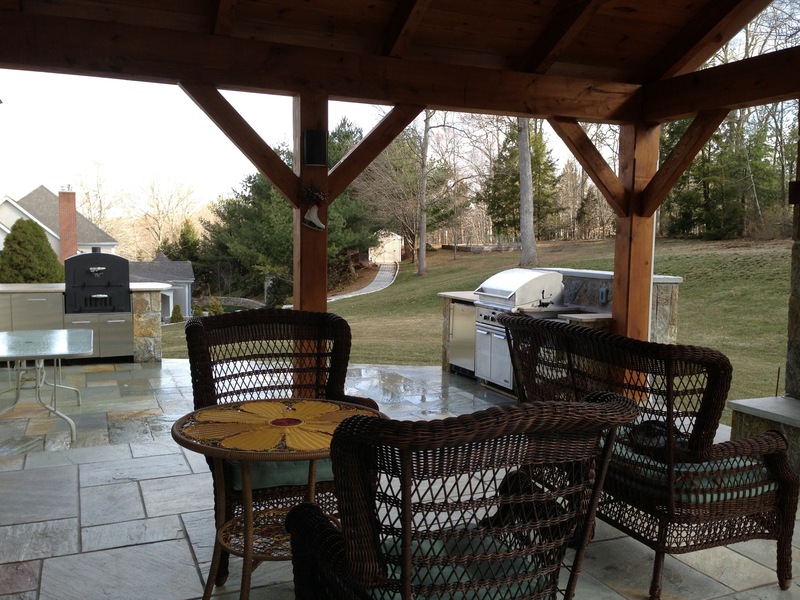 Nicely situated for parties or private dinner time fun for the family. 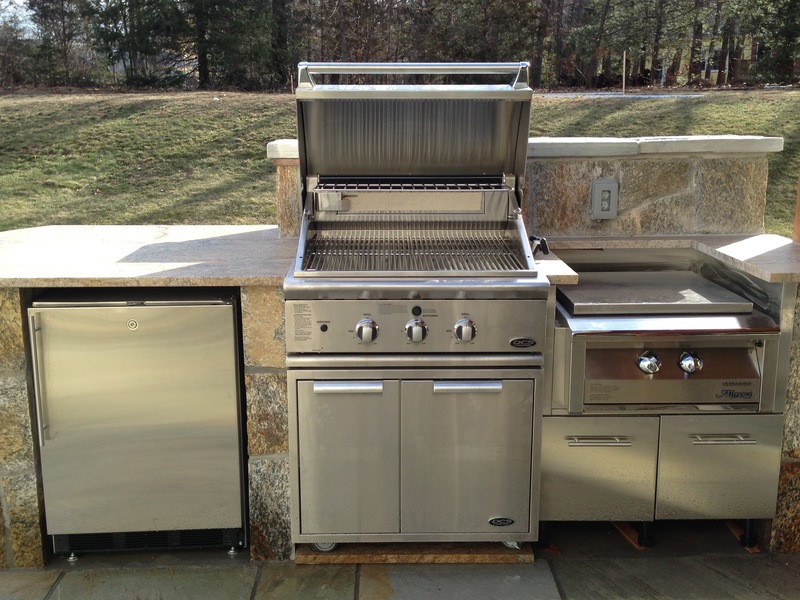 Now for culinary delight whether the task is grilling burgers or stirring up savory sauces, this outdoor kitchen island makes it easy and fun. 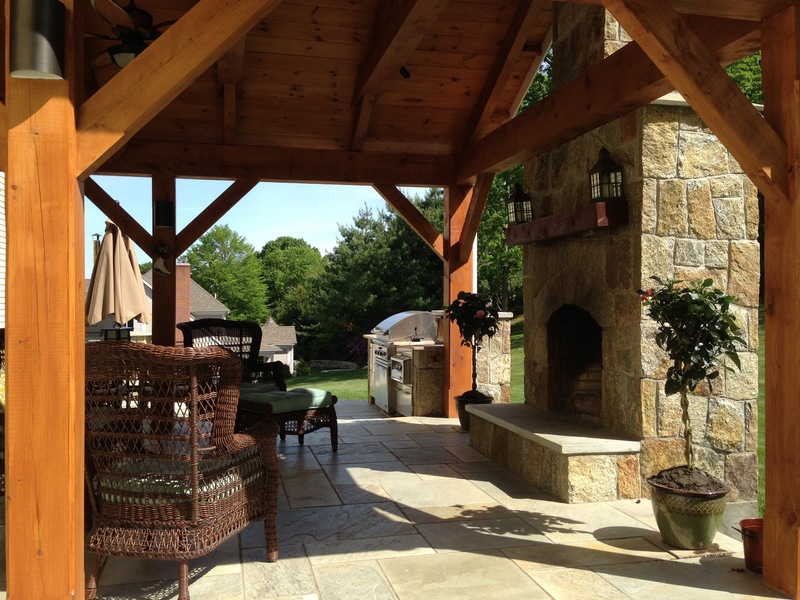 When all the essentials of outdoor design are into place it makes the grandest of results. 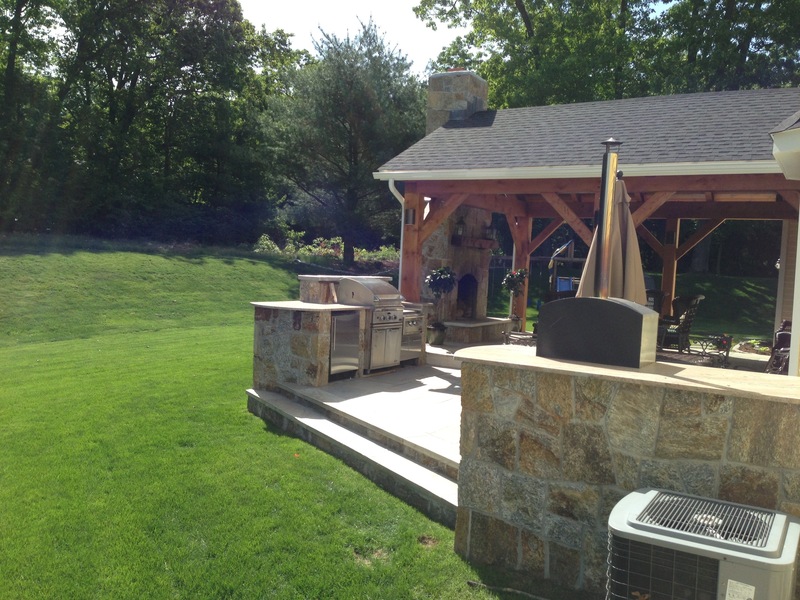 Even if most of the food prep was to be initiated inside the home, outdoor kitchen island culinary and conversation can be fun. 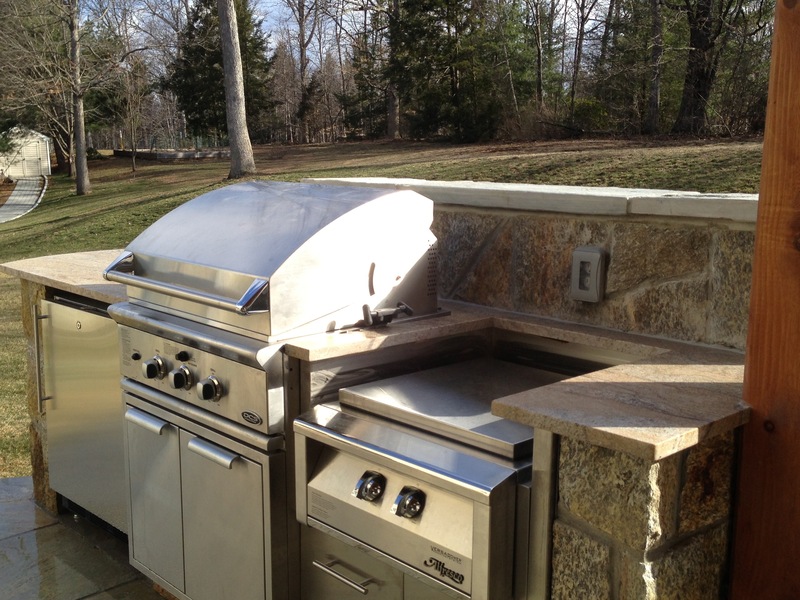 It’s the job of the outdoor kitchen designer to get a handle on your intentions and add a few surprises to help aide in the evening fun outdoors. 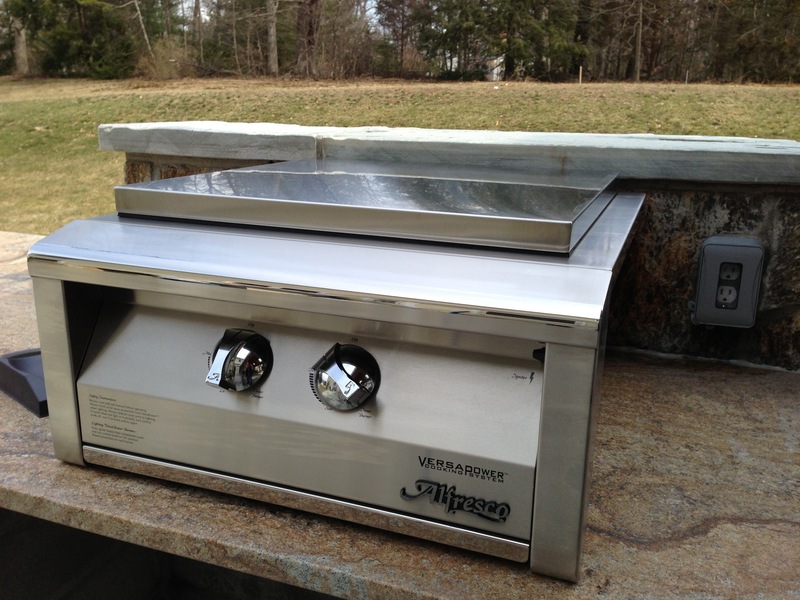 Amentities such as power burners designed to boil large amounts of water in the coldest of fall climates for lobster bakes are nicely realized with the right appliances in place. 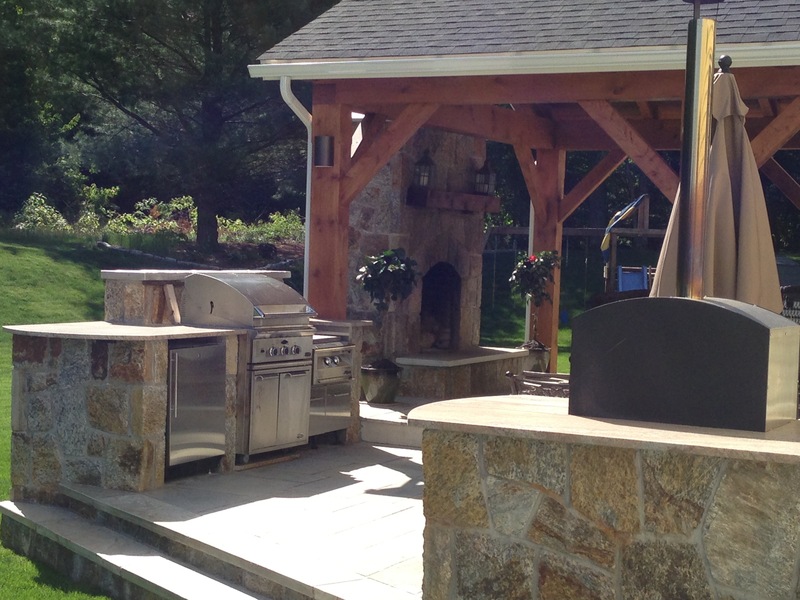 Leave your outdoor kitchen project to a true outdoor kitchen and or outdoor living professional. 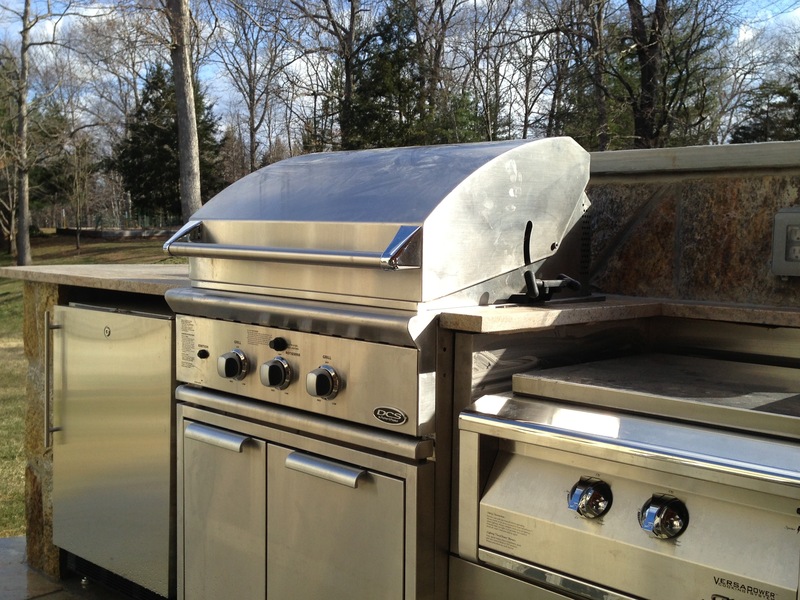 Choose your intended outdoor kitchen designer and build firm as carefully as you choose your new grill. We build the Preferred lifestyle you so deserve. 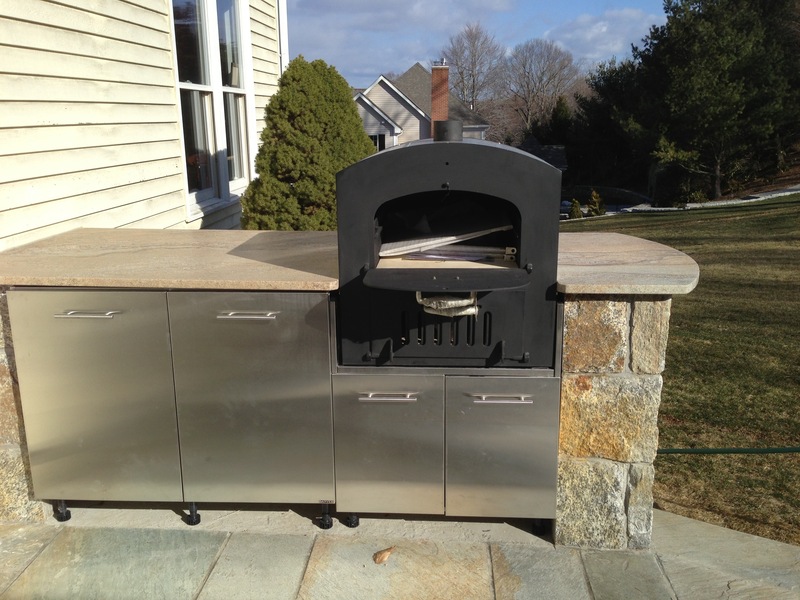 This entry was posted in exterior lifestyles, Featured Projects, firepit, hearth oven, landscape architect, landscape architecture, Landscape Design, landscape designer, Landscaping, Live a "Preferred" Lifestyle, luxury lifestyles, Masonry, oudoor fireplace and pizza oven images, outdoor fireplace addition ideas, outdoor fireplace design, outdoor fireplace images, outdoor fireplaces, outdoor kitchen, outdoor kitchen design, outdoor kitchen designer, outdoor kitchen images, outdoor kitchen island, outdoor kitchens, outdoor living, Outdoor Living and Landscaping specialist, outdoor living design images, outdoor pizza oven, Pizza Oven, post n beam, post n beam addition, post n beam outdoor living featured addition, Preferred Properties Landscape designer, Preferred Properties Landscaping, Preferred Properties Landscaping and MAsonry, Stone Fireplace, Stone fireplace with pizza oven, stone patio and tagged outdoor fireplace, outdoor living, outdoor living design ideas, outdoor living designer, outdoor pavilion, post n beam. Bookmark the permalink.